David foster was born as David Walter Foster on November 1, 1949, Victoria, British Columbia. Even as child, Foster was a musical prodigy, he began studying piano at the age of five and eight years later he enrolled in a music program in the University of Washington. He began his musical career at the age of 16 by joining Chuck Berry’s band. However, Foster was after success and worldwide recognition therefore, in 1971, he moved to Los Angeles along with his group Skylark. Their single “Wildflower” which was released the following year became an instant hit. David now became a much demanded session keyboardist, and was offered to appear on recordings for superstars including John Lennon, Barbra Streisand, Diana Ross, and Rod Stewart. David’s thirst for recognition was not quenched by the fame he received as a much sought after session keyboardist and he wanted to aggrandize his fame as a songwriter and music producer. He began writing and producing hits for other musicians such Hall & Oats, Boz Scaggs and the Average White Band, among others. The year 1979 saw Foster being awarded his first Grammy Award for co-writing the #1 song recorded by Earth Wind & Fire “After the Love Has Gone”. 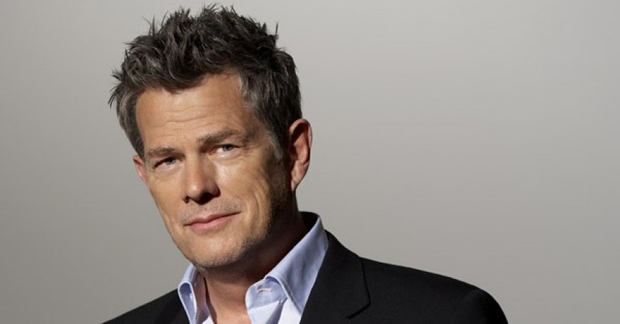 David Foster’s career as a producer and songwriter took off and he was awarded, in 1980, by another Grammy for producing the cast album of the Tony Award-winning hit Broadway musical, Dream Girls. The glamour town of Hollywood had now recognized the young producer’s flair and knack for understanding the essence of music and he was being offered numerous film and television projects. Some of the major hits produced by him include “Look What You’ve Done To Me” (Urban Cowboy), “Hard To Say I’m Sorry” (Summer Lovers) and “The Glory of Love” (Karate Kid Part II), and John Par’s “Man in Motion” (St. Elmo’s Fire). Foster’s fame grew rapidly and now he was ranked among the best of producers and songwriters. Through his versatility and ear for good music, he established himself as an innovative producer/songwriter who set about to revolutionize the music industry broadening his expertise by experimenting with every genre of music such as Rock, R&B, Pop, Soul, Country, Jazz and Classical. His productions such “Talk To You Later” (The Tubes), “You’re The Inspiration” (Chicago), “Somewhere” (Barbra Streisand), and “We’ve Got Tonight” (Kenny Rogers and Sheena Easton) took the music industry by storm with his engaging lyrics and tempting music, producing hit after hit with megastars such as Michael Jackson, Paul McCartney, Chicago, Neil Diamond, Alice Cooper, Manhattan Transfer, Phil Collins, The Pointer Sisters and Aretha Franklin, among others. In 1993, Foster’s star shined bright as he was proclaimed Billboard’s Top Singles Producer and Top R&B Producer, he also managed to bag his third award for Producer of the Year for Whitney Houston’s soundtrack to The Bodyguard. However, Foster’s appetite for success was not yet satisfied and he embarked on an entrepreneurial adventure establishing his first recording label, 143 Records. Producing hit after hit, 143 emerged as one of the high-powered and promising labels of its time. In 1994, Foster was presented with the prestigious Golden Plate Award by the American Academy of Achievement along with being admitted to the Academy’s Library of Living History. In 1997, Foster received the treasured Neil Bogart Memorial Fund Children’s Choice Award as well as two Gemini Awards from the Canadian music and television industries and five Juno Awards. Foster ranks as an influential philanthropist and advocate of Children right, he established the David Foster Foundation to assist families of children in need of organ transplants. He also heartily donated to organizations such as Andre Agassi Foundation, Race to Erase MS, Malibu High School Scholarship Program, and Cedars-Sinai Research for Women’s Cancer, among others. He currently resides in Los Angeles with his wife and six children.